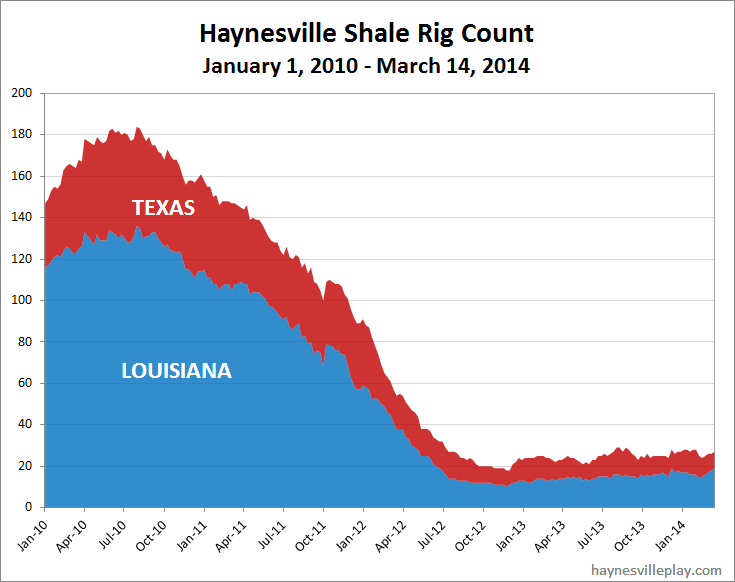 The Haynesville Shale rig count was up one to 27 last week. 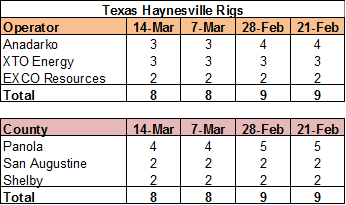 Louisiana was up one (Chesapeake, which is now running eight rigs) to 19, while Texas held at eight. 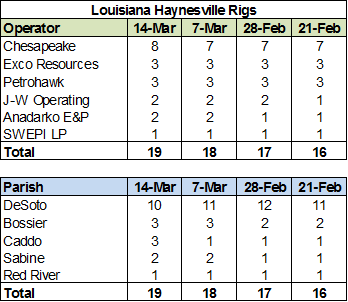 The Louisiana rig count is now the highest it has been since June 22, 2012 towards the end of the Great Rig Count Free Fall of 2012.